Day in LA~ New Vlog!! Vegan Sushi Recipe + Parasite Cleanse + Comedy Show! Hey guys!! Check out my latest vlog where I show you an example of what I do in LA! 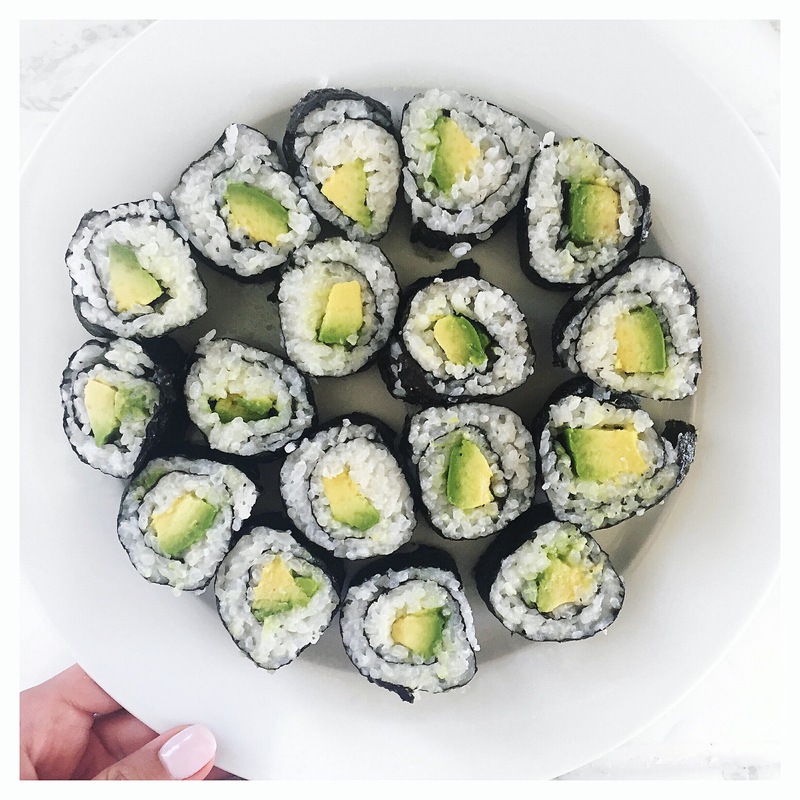 I’ll show you how I make my vegan sushi (avocado rolls) that I make ALL the time + an update on my Paragone Parasite cleanse that I am smack dab in the middle of. Also, I’ll take you along with me on a night out watching a friend perform stand-up comedy! I’d love to hear from you! Let me know your favorite part of the video! Printable recipe below!! I love sushi! Eating vegan definitely doesn’t mean you need to give up amazing sushi. I used to love going and getting sushi but discovered just how quick and easy it is to make at home. Now I make this all the time because it satisfies my craving, it’s easy to digest and it’s so delicious. You can adjust this recipe by adding other veggies besides avocado like cucumber, carrots, peppers or mangos. Have fun and get rolling! Take your sushi roller and place it in a large freezer bag to keep it clean. (A bamboo place mat can work too). Lay Nori sheet down on roller and apply a thin layer of rice. Add 2-3 pieces of sliced avocado on a 1 inch layer nearest to you. Simply roll it up then cut into .5-1 inch pieces. Enjoy with your gluten-free tamari soy sauce!